Are you a fan of Angry Birds game? Now bring crazy angry birds to your desktop screen. Previously I’ve shared Angry Birds theme for Windows 7. 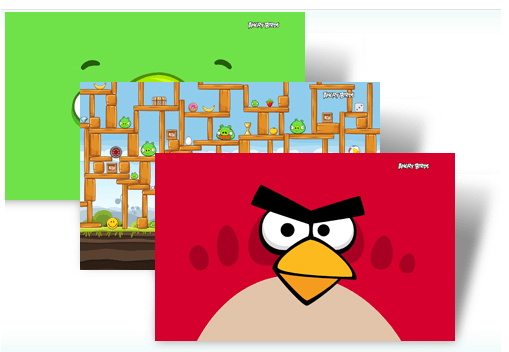 Now there is a new Windows 7 Angry Bird theme available for download in Microsoft Windows 7 theme gallery. This Angry Bird theme comes with 6 high resolution Angry Birds wallpapers. This Widows 7 theme also contains cool sound scheme inspired from Angry Birds game.